On May 12, 1893, a chestnut colt with a star and stripe was foaled in Bradford, Vermont. He was bred by Melissa Kelly, sired by Ethan Allen 2nd and out of a chestnut Morgan mare on the farm. Keep in mind the mares back then often did not get named. The dams’ pedigree was as powerful as the sire of this colt. She was out of a mare who was a double granddaughter of Peters VT 403. Thus, this colt had 3 crosses to Peters Vermont 403, 23 crosses to Woodbury, 5 crosses to Bulrush and 4 crosses to Sherman. There was Starlight, Flying Banner, Peters Morgan, Peters Vermont, the Wood Horse, Morgan One eye, son of Bulrush, son of Justin Morgan, all behind him. The colt was named Rob Roy and matured to 14 3/4 hands. He was sold to Mr. Roosevelt Schuyler of New York who kept him until age 24. 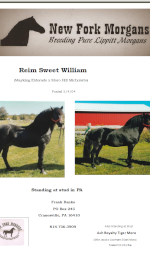 During his ownership, there were only two known registered foals, again, keep in mind that registering foals was not always an important task, partly due to finances. According to the picture above, Rob Roy was trained to drive, note the docked tail which was popular among some drivers as it kept the long, full tail of these Morgan from being entangled in the reins or being stepped on when backing up. In 1917, A. Fullerton Phillips of Windsor, Vermont, purchased Rob Roy due to his breeding. Phillips described Rob Roy as an exceptionally handsome horse of the ancient Morgan type. Not wanting to lose any time with this aged stallion, Phillips began using him on some of his mares. In 1919, the following foals were born, all sired by Rob Roy. 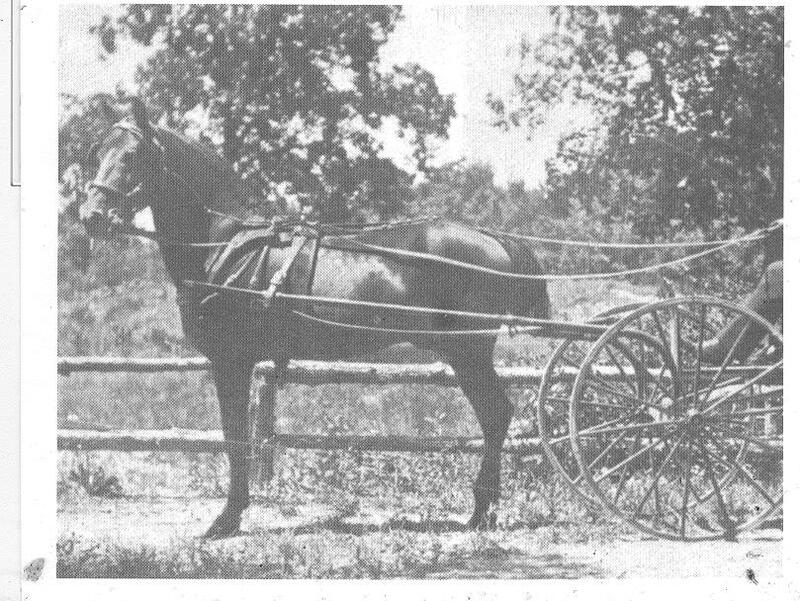 In 1920 there were only two foals born, sired by old Rob Roy ( now 27 years old). Anna Beresford out of Nancy. It was a pity Rob Roy could not have been in an area where he could have been bred to more mares and produced a great family of his own. The few foals Rob Roy did produce could have been more significant had it not been for the lightning strike which killed two of his daughters, Elbrita and Anna Beresford. After this tragedy, Nosegay and Delgardo were sold, Nosegay that same year and Delgardo in 1927. Had it not been for Adeline Bundy and Twilight (Green Mountain Twilight), no blood of Rob Roy would be available today for breeders. In 1919 Rob Roy was shown at the Vermont State Fair in White River Junction, in which he won the stallions in hand, aged 15 and older. His weanling son placed 4th in a big class and Rob Roy with three of his get, won that class. Not bad for a 26 year old horse!!! Fortunately for Lippitt breeders today, Adeline Bundy was a prolific mare and was used a great deal, having 10 foals to her credit. Her blood his found in the Nabob program, Rohan, Moro Hills, Mint, and Royalton to name just a few. Green Mountain Twilight also gave Lippitt breeders a legacy with her 7 foals, Lippitt Sam Twilight of the Meredith program and Lippitt Searchlight for Mr. Knights program. These seem to have been the two noted stallions. A more in depth article on these horses can be found in Lippitt Lore 2. 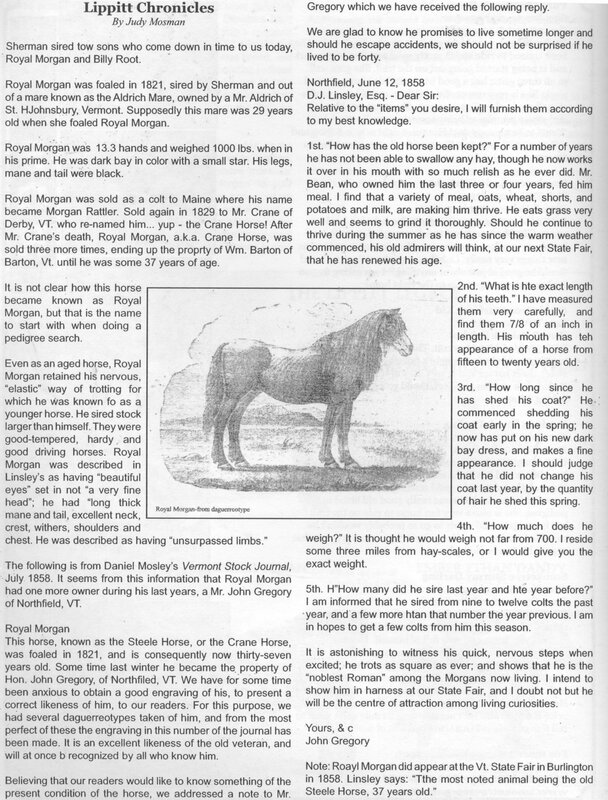 Yet again, we today, have to thank the breeders who went before us, for their insight, knowledge and even dreams in saving the gene pool of the Morgan horse now known as the family of Lippitt Morgans.